SHANNON Heritage has ruled out any immediate plans to create a theme park on the site of the nearby Shannon Shamrock hotel. Instead it is going ahead with plans for a major redevelopment of the internationally famous folk park and village on the grounds of Bunratty Castle. Calls were made last week for the Shannon Group company to buy the disused hotel and turn it into a theme park to complement the tourist offering at the castle and folk park. Councillor Pat McMahon (FF) made the call at a recent meeting of Clare County Council meeting when he said that the success of the Bunratty complex was a good reason to co-locate a theme park there. The hotel site, which adjoins Bunratty Castle, is already zoned for tourism use. “Bunratty is known all over Ireland in a positive light and almost all over the world at this stage,” he said. “We have Tayto Park but we could do this here in Bunratty,” he said. In 2011, the then Shannon Development conducted a feasibility study on the possibility of partnering with another company to develop a theme park on the grounds of Bunratty Castle but this was superseded by the break-up of the company and its replacement by the Shannon Group. A spokeswoman for the Shannon Group told the Limerick Post that the company’s focus right now is on developing the folk park. “We are working on plans to develop the folk park and enhance the product. We’ve got to stage one and we are working with Failte Ireland’s redevelopment fund”. She added that Shannon Heritage does not own the Shannon Shamrock site and has no plans to buy it. Shannon Heritage recently unveiled a €1 million facelift at the castle and folk park, involving the development of a new retail store and online brand, a new café and new attractions around the park. The development has resulted in an extra 30 staff being employed at the site to help bring Ireland’s heritage to life for visitors. 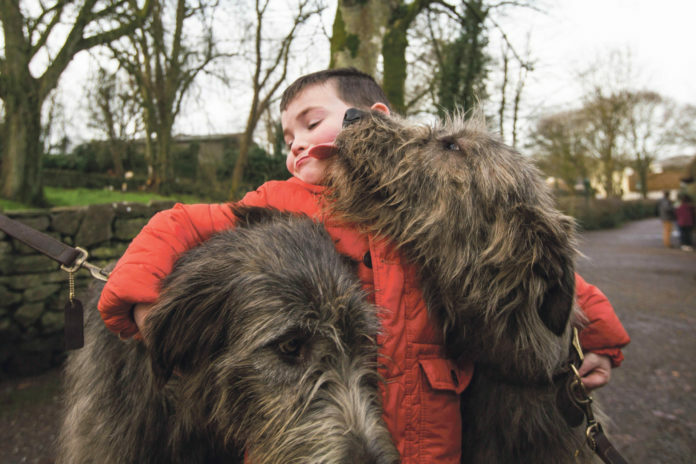 The company has also been working on enhancing the folk park events and attractions, with the return of the much-loved Irish wolfhounds and more recently, the re-stocking of the native Irish red deer herd, which was synonymous with the castle for more than 30 years. Shannon Heritage recorded a 4.3 per cent increase in visitor numbers to 924,718 – double what visitor numbers were in 2012. Its visitor attractions generated 253,000 bed nights, supported 840 direct and indirect jobs and generated an economic value of €28 million.